Quick. Imagine the kind of individual who makes their living as a head brewer. If your mind works anything like Google images, you've pictured a burly, middle-aged man with a beard that puts lumberjacks to shame. Slim, twenty-something brewster (or lady brewer) Brogan Hunter refreshingly meets none of these physical expectations. 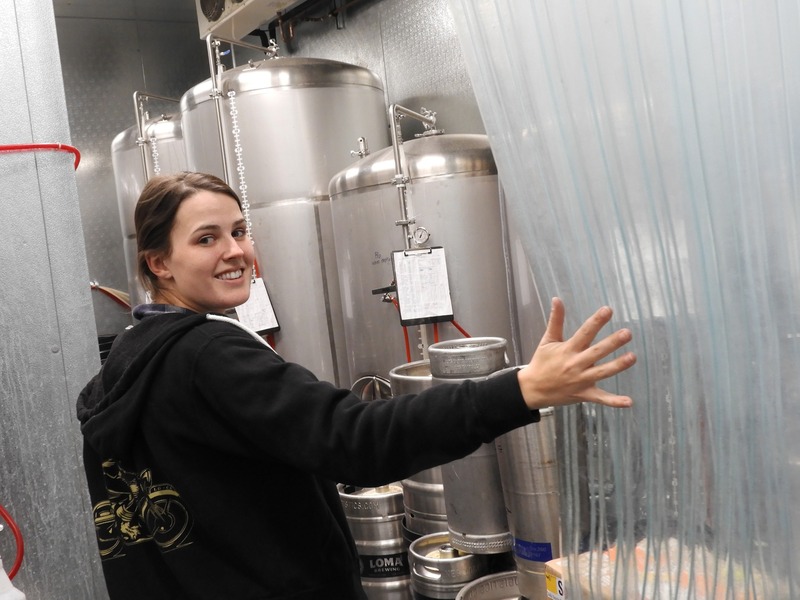 And she’s not about to let a few outdated stereotypes stand between her and success at Loma Brewing Company, a Los Gatos brewpub distinguished for housemade pints and comfort food. Brogan possesses intimate knowledge of all the brewing equipment. Women actually have quite the history with beer. Until modern times, brewing fell under the domestic sphere, meaning women were in charge of making the good drink. It also crept into folklore. Ancient Sumerian priestesses served the beer goddess, Ninkasi, serving this fermented beverage at religious ceremonies. An old Finnish legend credits a maiden called Kalevatar for bringing beer to mankind by mixing honey with bear saliva. Unfortunately, things took a dark turn when 16th century alewives became a popular target during the European witch hunts. This period is one of the reasons why the green cartoon witches on Halloween decorations are laboring over a cauldron and carry broomsticks (an item hung outside the alehouse door to show availability of drink). 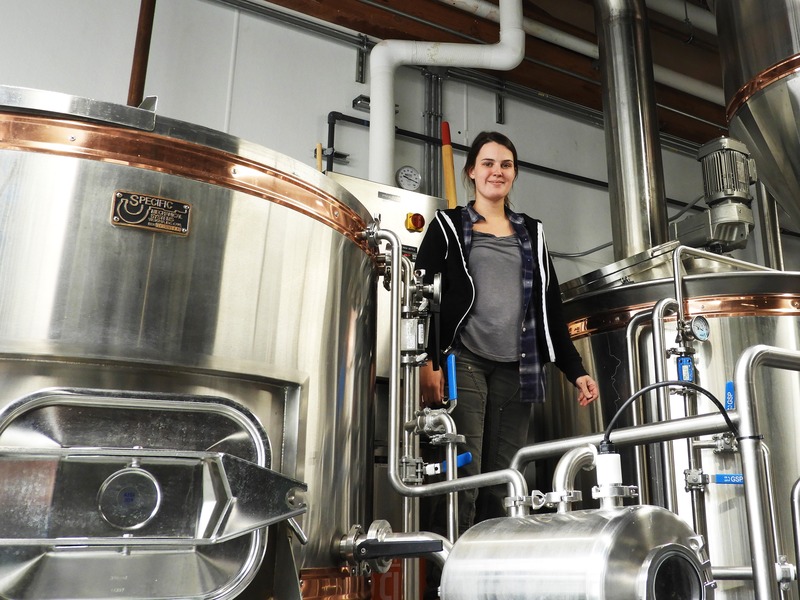 Though 32% of beer drinkers in America are women, Brogan is part of the scant 4% of female head brewers and brewmasters currently employed by breweries. But there seems to be a consensus among brewsters that the times are changing. “It’s getting better and better,” Brogan notes. Brogan enters cold storage where beer and grain is kept. “And if there’s men in the industry that have an issue with me being here, it’s not to my face,” she remarks. The one difference she’s noticed in treatment is that her gender ambiguous name sometimes results in surprised reactions from business associates when they first meet in person. “But I like to say I win them over,” she says with a smile. Loma houses an operating brewery. Brogan’s introduction to beer was a home-brewed batch of pale ale. 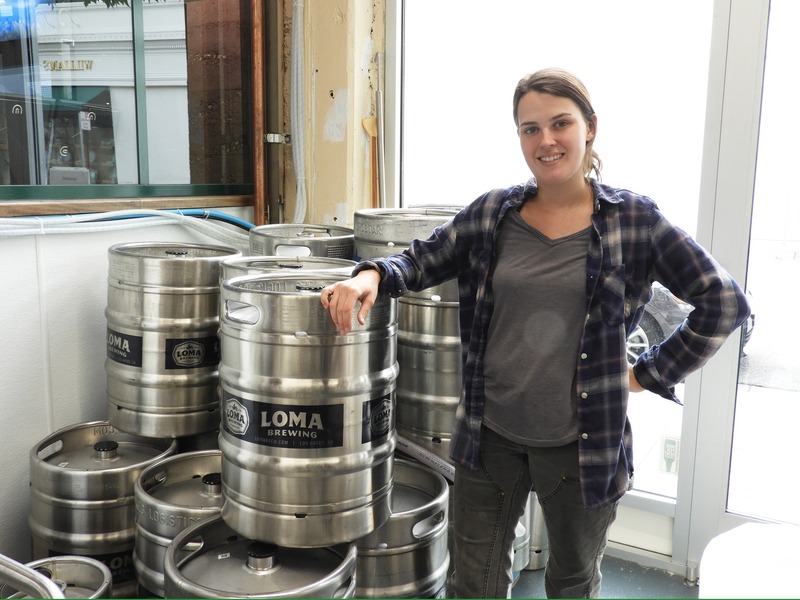 Fascinated by the fermentation process, she began looking for her industry “in.” Loma’s unique concept—an operational brewery, full bar, restaurant, and coffee shop combined all in one industrial trendy building—caught her attention. 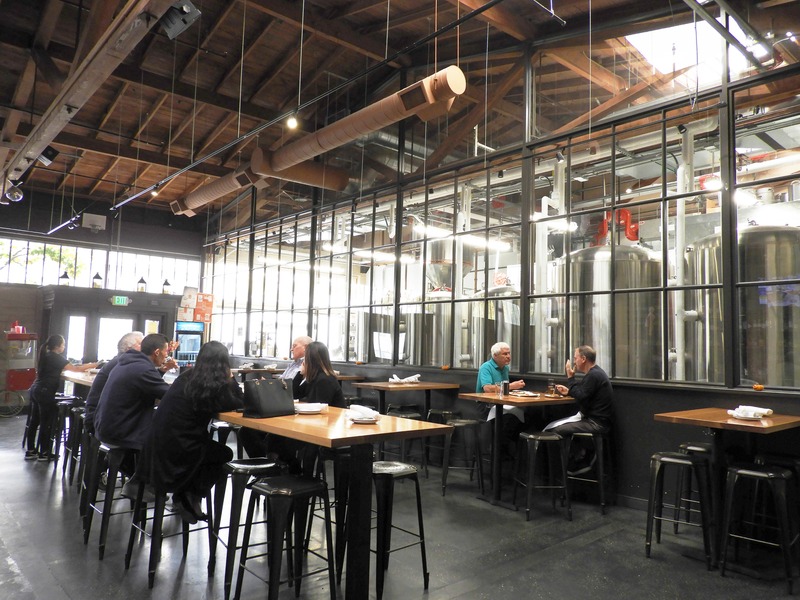 Loma also sets itself apart as the only brewery in Los Gatos, a significant pioneer in the relatively untapped market of Silicon Valley. Hired as an assistant brewer for Loma's early batch 004, Brogan quickly rose through the ranks to Head Brewer. Her young age hasn’t impeded her progress either. Owner Kevin Youkilis and General Manager Dan Reineke appreciate her insight into the younger generation currently driving the market. “Although I might not always agree with all of the trends, I do see where they’re coming from,” she remarked. 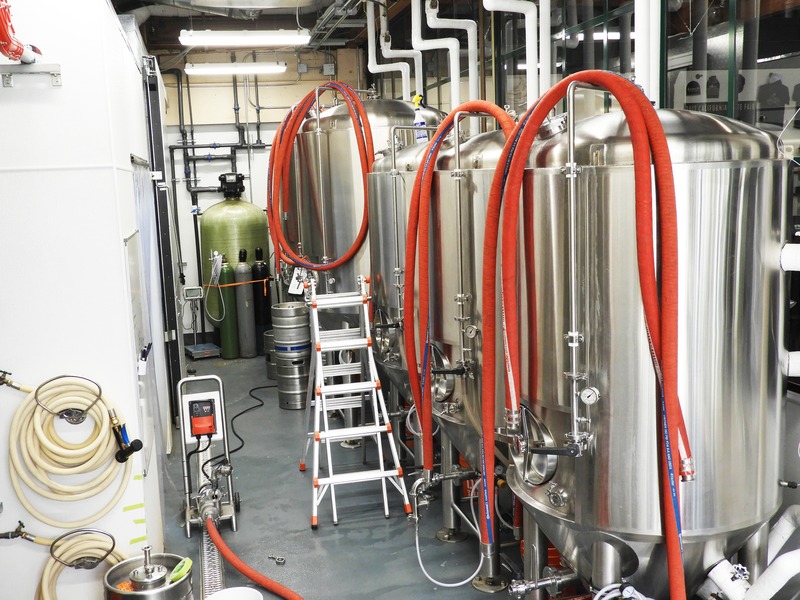 Loma diners are allowed a glimpse into the inner workings of the brewing facility. Although hard workers have a way of making what they do look effortless, make no mistake, Brogan’s elevation to Head Brewer has been an act of perseverance. While others might be disappointed to find that their sparkling dream job isn’t all operating gleaming equipment or concocting award-winning brews, Brogan has no problem rolling up her sleeves for the cleaning and sanitation tasks she estimates to be about 90% of the job. Brogan scales a ladder to check on the fermenter tank. Brogan’s delight in her vocation is evident. Whether it’s improving on recipes or mastering the science of brewing (from mashing to lautering), she meets each challenge head on. 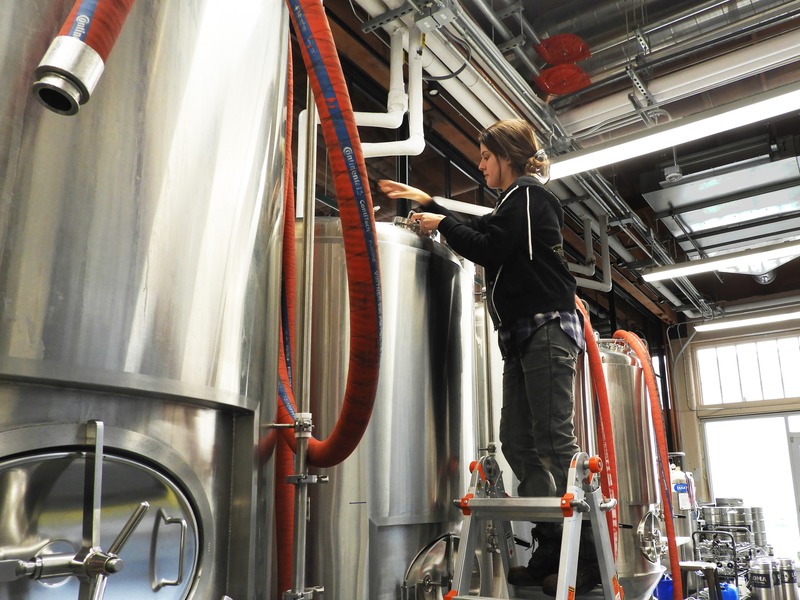 “You can often see her on the other side of the glass playing with hoses or trying to see at which step she can jump off the brewhouse deck and still stick the landing,” the Loma website playfully observes. 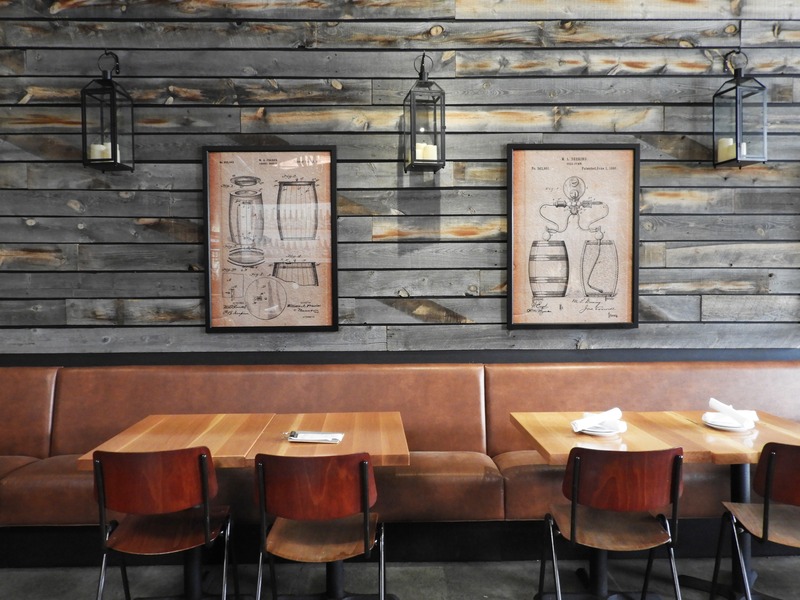 The Loma dining room captures a fun industrial-trendy vibe. A good beer is a good beer—so let’s be mature adults, recognize that the physical description of the maker in no way affects the taste of the beverage, and raise our glasses to the passion behind a quality beer. Visit Loma and let Brogan’s brews speak for themselves. Whether you chose a hazy IPA with mandarin and pine notes or an Irish Stout with a sharp coffee and dark chocolate edge, I think you’ll be pleased with the result. Brogan looks right at home in the brewery. Located in Los Gatos, the Loma loga fittingly portrays a cat riding a motorcycle.